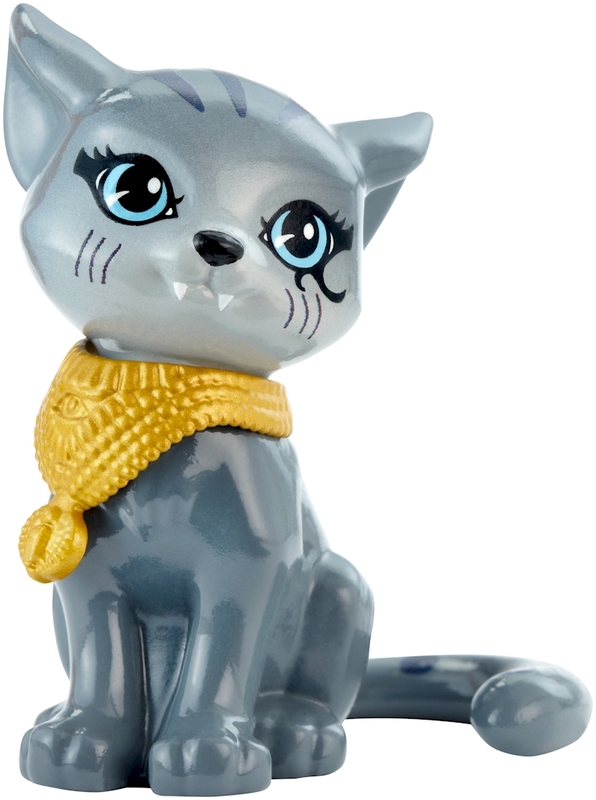 Celebrate these adorable beast friends with Cleo de Nile doll and her adorable kitten. The daughter of the Mummy wears a gore-geous dress with graphic print in her signature colors and legacy-inspired accessories. She also comes with a golden milk dish for her cat.